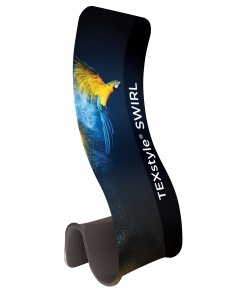 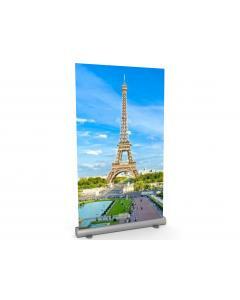 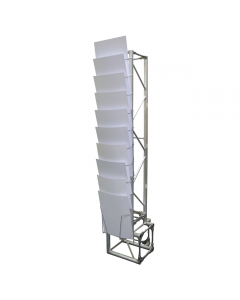 The Linear Graphic and Literature Post is a sturdy freestanding branded brochure display. 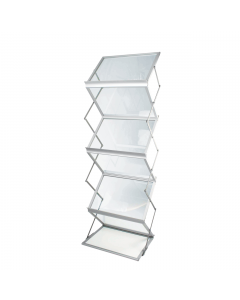 The three A4 sized literature holders provide you with practical place for your brochures or leaflets and the large graphic panel is an attractive and eye catching feature ideal for promotional marketing. 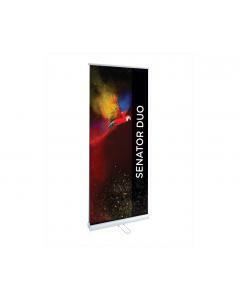 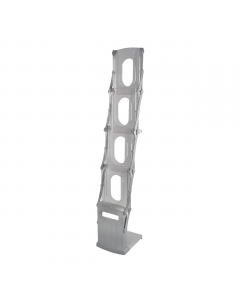 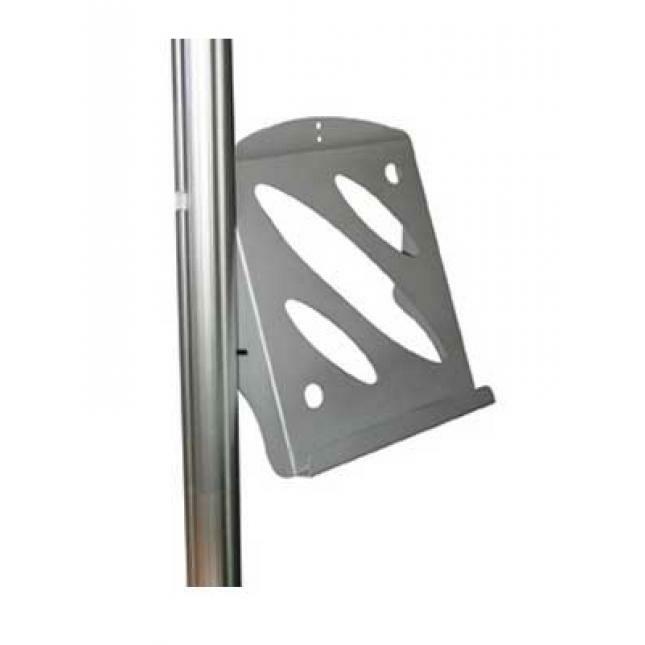 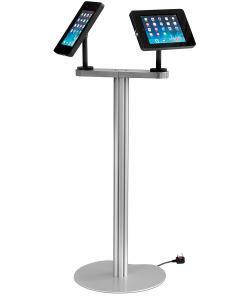 The stand features a heavyweight and stable base with a diameter of 450mm. 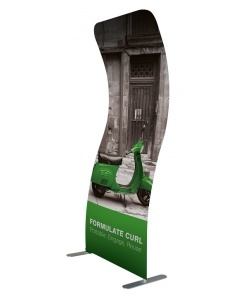 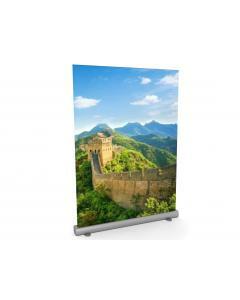 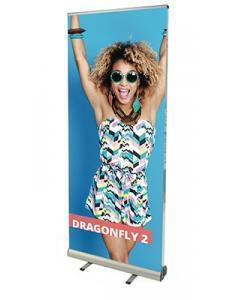 The foamex graphic panel can be single or double sided and the shape can be either rectangular or curved as shown in the image. 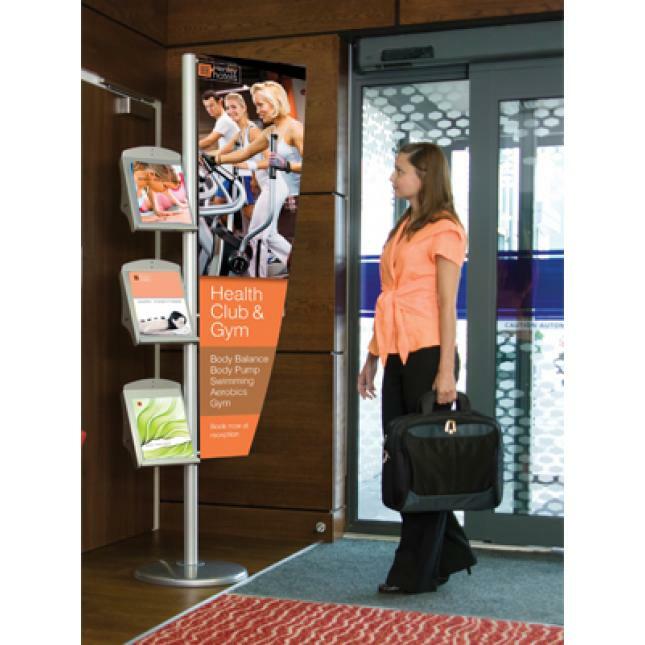 The linear modular display system is suited for use in retail outlets, leisure centres, showrooms, reception areas, exhibitions, conferences and events. 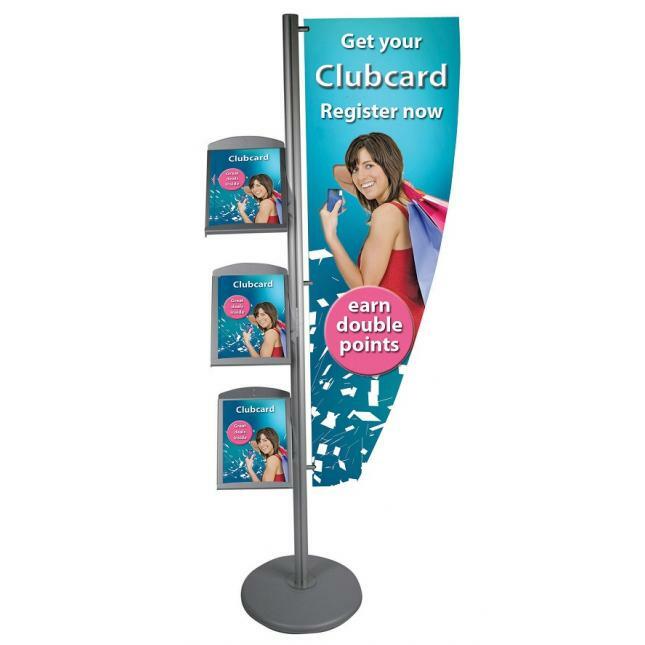 This display stand is a great alternative to a traditional leaflet or brochure dispenser and the custom printed graphic makes for a powerful marketing tool whilst occupying a relatively small footprint. 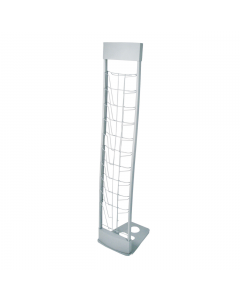 Why choose the Linear Graphic and Literature Post? 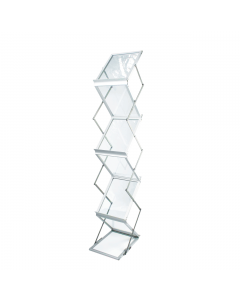 Literature holders: Includes three A4 portrait literature holders. 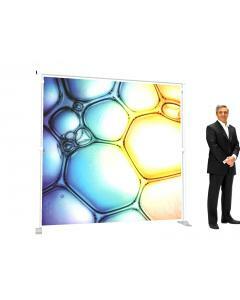 Graphic: Your artwork will be printed on 5mm foamex panel. 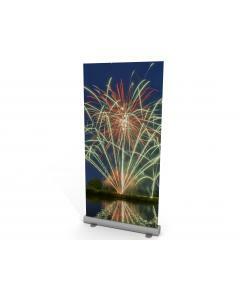 The panel can be a rectangular shape or with a curved corner. 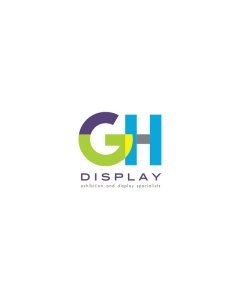 Download a product specification, user instructions and graphic template below.